“Without the contributions and influence of the Ottoman Turks, life would be different and diminished. For centuries Western art and culture have been enriched and refined in many ways, which we take for granted.” (By Philippa Scott from the book of “Turkish Delights”). Life would be different indeed for the whole world if that small band of Turks led by Ertuğrul, and later his son Osman, had not stepped onto the stage of history in the 13th century, creating a great empire that in its most magnificent years under Suleyman the Magnificent would stretch from western Europe to Northern Africa, an empire that left an indelible mark on world history, art and culture before it finally took its bows in the early 20th century. Upon their arrival, guests are met at the Ataturk International airport by our tour manager and transferred and checked-into our hotel in Sultanahmet, the oldest district of Istanbul. The group enjoys a welcome drink and a chance to meet other participants and staff before sitting down to dinner. 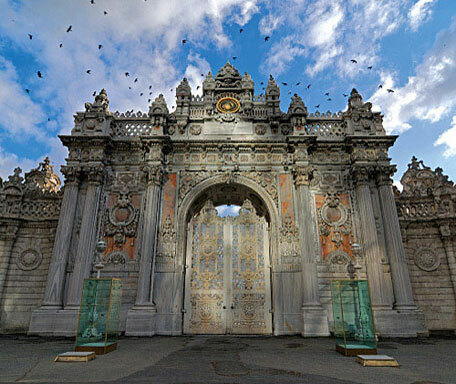 In the morning we visit Topkapı Palace/Harem/Treasury, a stunning monument to the power of the Ottoman Sultans. 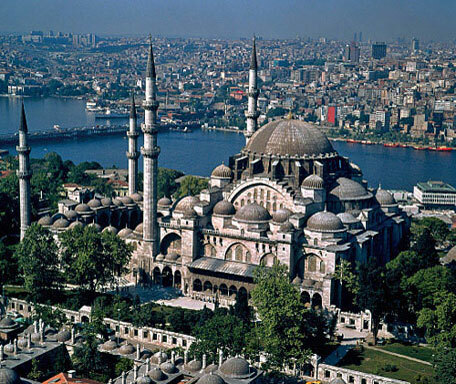 It is the most extensive and fascinating monument of Turkish civil architecture in existence. 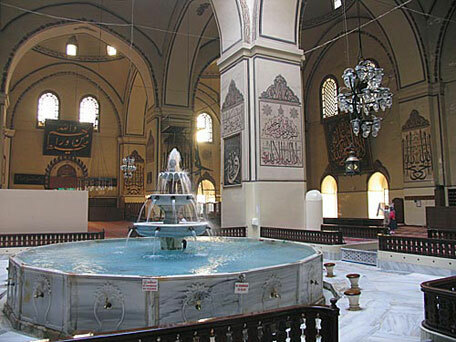 We examine the Fountain of Ahmet III, a lovely example of the Turkish Rococo architecture of the 18th century. In the afternoon we visit the Çinili Köşk “the Tiled Pavilion”, a delightful 15th century building from which the city’s conqueror, Sultan Mehmet II, watched polo matches. Today the pavilion houses a magnificent collection of Ottoman ceramics. We end our day with a visit to one of the most beautiful of the smaller mosques in Istanbul, a minor masterpiece by Sinan, Sokullu Mehmet Paşa Cami. A two hour scenic drive through ancient Thrace takes us to the magical city of Edirne, the city that served as the second capital city of the Ottomans. 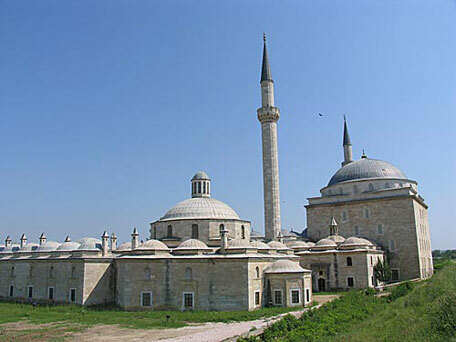 The first great Ottoman building in Edirne is the Eski Cami, located in the heart of the town, built between 1403 and 1415. We next stop at the 15th century Bedesten, built for the storage and sale of the most valuable items of commerce, its revenues in trust for the upkeep of Eski Cami. The Üç Şerefeli Cami, the mosque of the Three Balconied Minarets, represents a complete stylistic innovation in early Ottoman architecture. For the first time a massive central dome was placed over a rectangular floor plan, marking the first step towards that passion in Ottoman architecture for an expanse of unbroken interior space beneath a crowning dome. Then a short drive over bridges and dikes transports us out into the countryside to the gleaming white mosque and charity complex built in 1484 to 1485 by Sultan Beyazıt II, the Beyazıt II’s Külliye. This complex consists of a mosque, hospital, medical school, soup kitchen, pharmacy, bath, kitchens and storage rooms. This complex was once one of the greatest charitable foundations of the Islamic world. It was here that Lady Mary Wortley Montagu took the revolutionary step of having her children inoculated against smallpox. 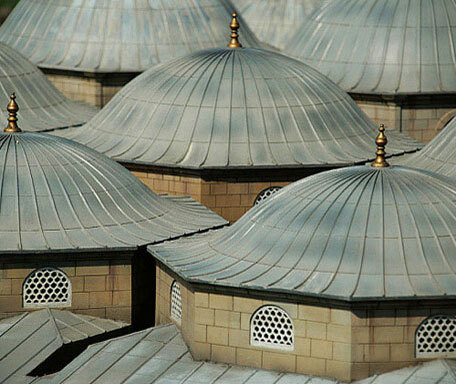 We also visit the Mosque of Muradiye with its blue and white tiles. After breakfast we first visit the masterpiece of the Ottoman’s most famous architect, Sinan, the Selimiye Mosque, which towers over Edirne on its hilltop perch. 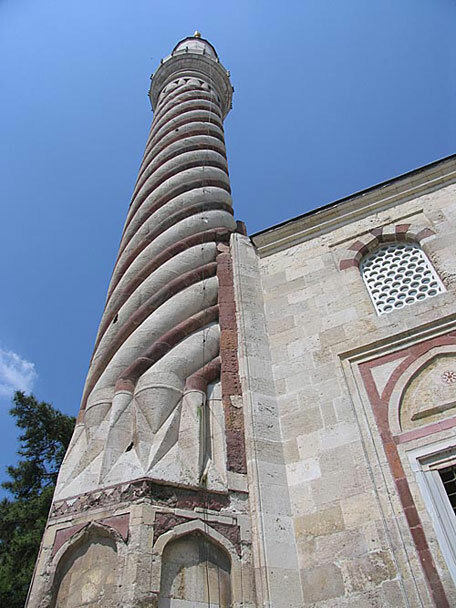 Considered by many to be the highest attainment of Ottoman architecture, the mosque was built between 1569 and 1574. We drive back to Istanbul and take the fast ferry from Yenikapı to Bursa, the first capital city of the Ottoman Empire. Our hotel is located on the ancient hot thermal spa, don’t miss the Turkish bath before dinner! 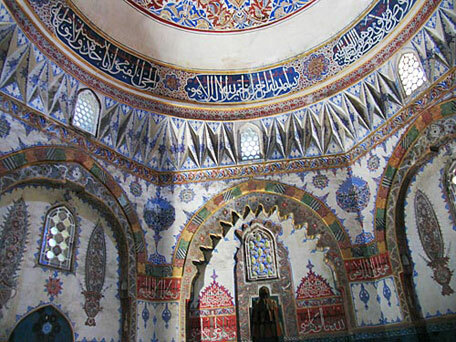 After breakfast we visit the Ulu Cami (the great Mosque) with its splendid painted inscriptions. Then we continue to the most interesting buildings of the early Ottoman Empire: Green Mosque & Tomb with its splendid tile work and its magnificent marble façade. Then we drive up to the Citadel where we view the best-preserved section of the citadel walls along with the Tombs of Osman and Orhan Gazi. We wander through the old streets of Bursa and stop at the leafy, largely residential district of Muradiye. Back down in the city we explore the Silk Market (Koza hanı). A short drive to the northern foothills of Mount Uludağ brings us to the picturesque village of Cumalıkızık. Set amongst chestnut and fig trees, the village is famous for its Ottoman period rural architecture. It was originally established under the endowment of the second Ottoman Sultan Orhan Gazi (1324-1360), and settled by Turks of the Kızık branch of the Kayı clan. We take the morning ferry back to Istanbul and drive to the Third Hill of the city, where the Mosque Complex of Süleyman the Magnificent is located. We also visit the back garden of the mosque to pay our respects at the tombs of Süleyman and Roxelana followed by a visit to the tomb of the master, Sinan himself and wander the market streets to the hidden mosque built for Süleyman’s Vizier, Rüstem Paşa, one of the finest interiors of Istanbul. Guests are allowed to explore the famous, historical Covered Bazaar and Spice Market on their own. This morning we cross the Golden Horn to the Ottoman’s later palace, Dolmabahçe Palace (Selamlık), an extravagant confection with monstrous chandeliers, crystal banisters and gilt and painted ceilings. In the afternoon we board a private boat for a 3 hour Golden Horn and Bosphorous cruise. That evening we bid each other farewell at a dinner at a restaurant renowned for its Ottoman cuisine. Participants are transferred to the international airport to connect to their return flights. Moderate walks and some uneven pavements. Good and comfortable footwear is essential. Bring a pair of binoculars to get a close-up look at the fine Iznik tiles in the mosques. All hotels and meals as noted. (B=Breakfast, L= Lunch, D=Dinner). Meals at the select restaurants. All gratuities to hotel staff, restaurant and your driver and baggage handling. Lectures on Islam and Ottoman Architecture.